Beat together the mascarpone, heavy cream, and sugar until stiff peaks form. In a small saucepan, bring the water and apricot preserves to a boil. Lower the heat until you have a strong simmer, and let reduce by half. Strain any solids out and let cool. Fill each cup almost to the top with the mascarpone mixture and top with a raspberry. 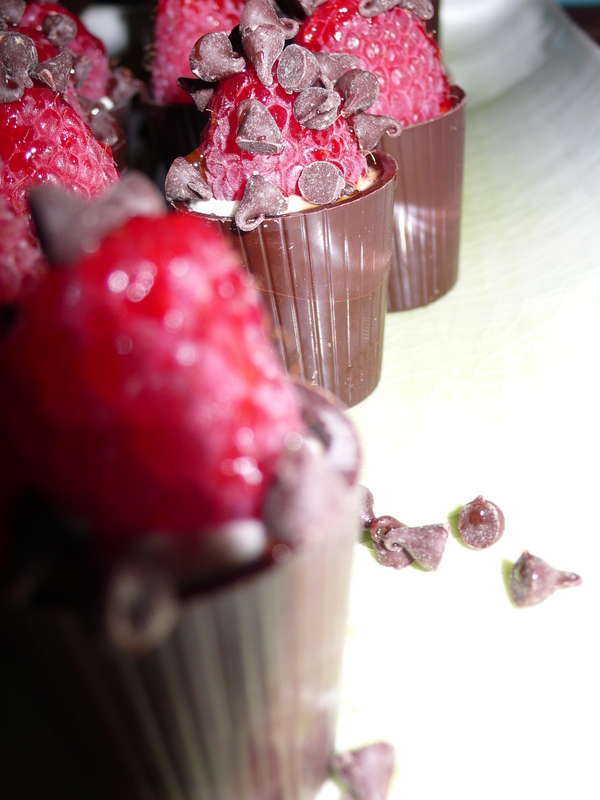 If you’re using larger chocolate shells, arrange several berries on top. Drizzle with the apricot glaze and, after giving it a moment to set, sprinkle with mini chips. So excited to eat these and their raspberry punctuation! nom nom nom.